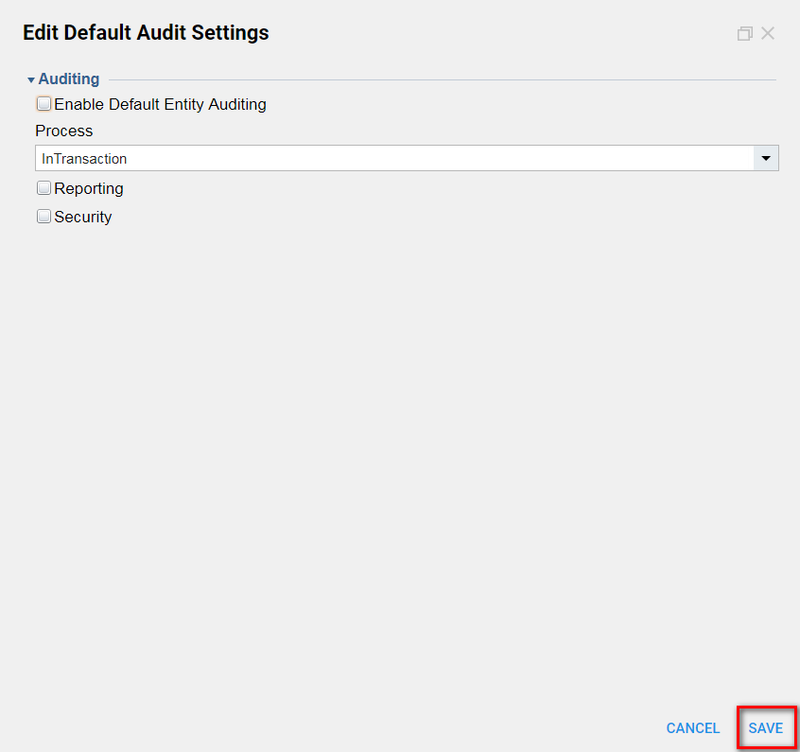 You can configure the portal to enable default auditing. The system will then audit transactions involving all entities, such as folders, assets, and tasks. A user can view an audit report by selecting an entity and viewing the audit history. 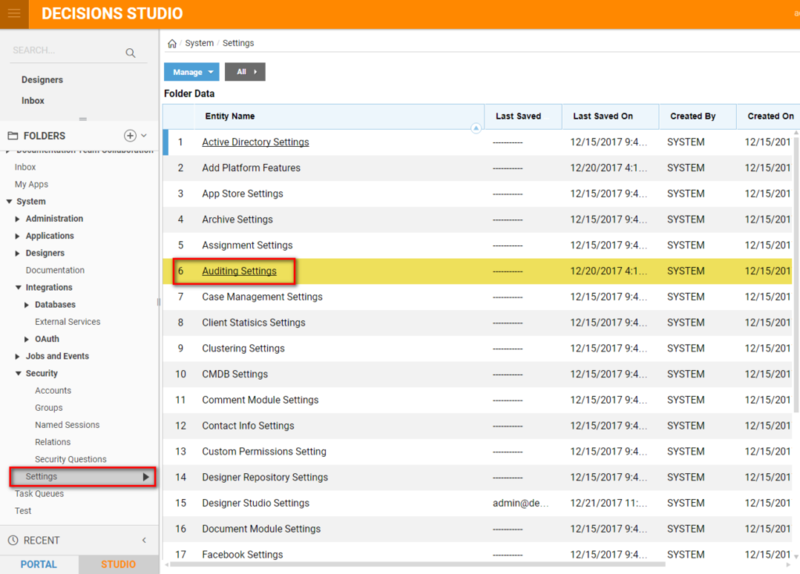 To enable auditing, navigate to the System > Settings	folder, select Default Auditing Setting	s	and click the Edit Settings	option in the bottom right. In the example, we will configure the portal to enable auditing. We begin by navigating to the folder System	> Settings	. In the folder data panel in the Entity Name	list, we click Default Auditing Settings	. In the Entity Actions menu in the lower right, we select Edit	. InTransaction	- all the updates are stored in the same transaction. The Reporting	checkbox, when enabled, will capture who ran a report and the report name. The Security	checkbox, when enabled, will capture user logins and logouts. Select Save	. The system will now audit all entity transactions automatically. To see the data introduced, create a new report and select the Audited Entities	data source. While creating a custom Data Structure, Audit Changes can be turned on. 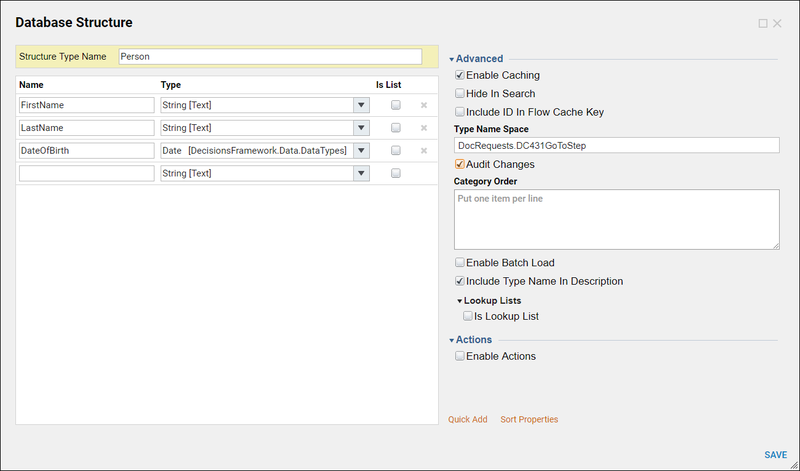 With the Structure Type Name	selected, navigate to the Advanced	category and select Audit Changes.